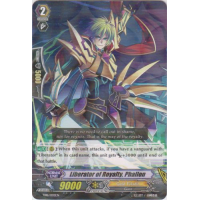 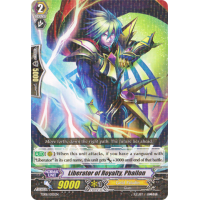 [AUTO](RC):When this unit attacks, if you have a vanguard with "Liberator" in its card name, this unit gets [Power] +3000 until end of that battle. There is no need to call out in shame, nor for regrets. That is the way of the royalty.